. Read online or download it to your computer or eBook reader. Make the most of your trip to Spain. SurvivalSpain.com. Castilian, Catalan, Galician and other dialects. The structure of modern Spanish and more than half its vocabulary derive from the Latin spoken during the Roman colonization of the peninsula. Words from Arabic; other European languages, notably French and Italian; and from the Indian languages of colonial settlements further enrich the vocabulary. In a broad sense, the term “Spanish” is taken to mean three of the four languages native to Spain – Castilian, Catalan and Galician – and their dialects. In a restricted sense, it is synonymous with Castilian, the official idiom used by government offices, courts, most schools and the media. Approximately 70 percent of the total population of Spain now claims Castilian as their mother tongue. With slight modifications in usage, Spanish (Castilian) serves as the official, primary or secondary language of 250 million people in Spain, most of the Antilles, parts of Africa and North America, Mexico, Central America, South America with the exception of Brazil and the Guayanas and, to some extent, in the Philippines among the upper classes. This important romance language, ranking third in number of speakers worldwide, also serves as one of the five official languages of the United Nations. 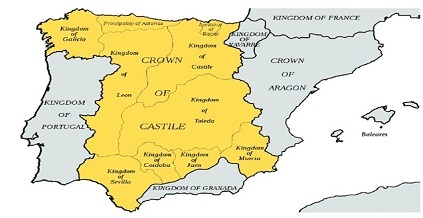 Dialects of Castilian include Aragonese, rich in proverbs and songs; Leonese, widely variable from village to village and Andalusian, source of many slang words incorporated into national speech. Catalan, native to Catalonia, Valencia and the Balearic Islands, is more akin to Provencal, the language of southwestern France, than to Castilian. Although possessing a strong literary tradition, this supple language is preserved largely through the personal communication of six million speakers. Valencian and Balear are its principal dialects. 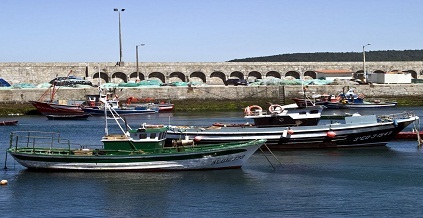 Melodious Galician, with four dialects corresponding to Galicia’s four provinces, resembles Portuguese. Used by about two million people in rural areas and primarily within the family, it is not being formally passed on to the next generation. The fourth language of Spain, bearing no similarity to any European tongue but believed to be related to the speech of the Berbers of North Africa, is Basque, presently spoken by some 200,000 people on both sides of the Pyrenees. Thousands of years of isolation have produced eight dialects, 25 subdialects and a primarily folkloric literature. Are you going to Spain? Do you want to have a quick Spanish course with a live to teach you the basics you need to survive and get around? PDF Version - To read on your computer or print out and read in paperback. ePub Version - To read on your favorite Ebook reader or Ipad. Mobi Version - To read on your Amazon Kindle. These eBooks about Spain are free for you to use for personal use or to put on your own website. The only thing we ask is that you simply give the appropriate credit to SurvivalSpain.com and/or LiveLingua.com for the hard work of our staff to make this public. SurvivalSpain.com is a free online travel guide to Spain to help anybody travelling to Spain learn the basics of the culture fast.